If there is anything that you might complain about B2B telemarketing campaigns, it is that the rate of success can be pretty low. But really, that would only happen if you do not manage your team well. You see, this medium of B2B lead generation is a constantly evolving and adapting form of marketing. More sales training – yes, your people may have undergone a lot of product trainings and the like, but it never hurts to have another day of training. A little polishing of skills can go a long way in your marketing efforts. Assign more sales people – sales is a science and art, one that requires specific skills that only a few would be able to pull off. You have to make the effort to select people who have a deeper orientation to sales. This is for the good of your marketing campaign today and tomorrow. Do your recruitment right – you want to make sure that you have the best people for your B2B lead generation campaign, right? Then make sure that you are sourcing them from a pool of really talented people. Be a little more patient – with the way B2B appointment setting processes turn out, patience is a real, albeit rare, virtue. But really, a little patience can mean a lot in keeping control even in the worst situations. Experiment with your pilot team – there will be events when you just have to use a new strategy or technique in marketing. In that case, you should work with a small group of marketers who will check its soundness, as well as iron out any wrinkles that might turn up. Prepare cross-selling – there will be times (which would be useful for larger firms) when a sales leads prospect requests something beyond the responding marketer’s ability. You should train them on proper transfer processes. Draw the line firmly between sales and marketing – sometimes, the bickering between these two departments (due to vague job descriptions and work assignments) can be very bad, that your business loses more B2B leads that you generate. By designating which department does this and that, you avoid the trouble between the two. It is all about proper marketing management. That is the secret to successful telemarketing campaign. This is how your get things done well. First-call resolution (FCR) is the immortal mantra of inbound marketing campaigns. If you cannot satisfy a customer’s questions on the first call, then your marketing campaign is not doing enough. While this is clearly applicable in the inbound marketing business, will it also apply to outbound lead generation processes? The answer is actually a ‘yes’. You can employ FCR strategies when looking for qualified sales leads. The premise is actually simple: we want to resolve everything in just one call. This will save everyone the time, money, and effort involved in entertaining each call. The less repeat calls you make on a single person, the more people that can be contacted in a single day. In terms of marketing and appointment setting, qualifying leads with a single call can mean a big thing. But for this set-up to work in a lead generation campaign, you need to have initiative. You begin with a lie – a successful business relationship is anchored on trust. How will you be able to maintain that if you started the whole process with a lie? Sure, this might help you get more business leads in your appointment setting campaign, but it will not help you at all in the long run. In fact, it will lose you more leads. Your claims are unbelievable – with so many companies claiming that they are the best, or the cheapest, in the market, it is only natural that business prospects would be tired of hearing the same song over and over again. If you really want to get their attention, show hard facts. Even if your outlandish claims are true, no one will believe you until you show proof. Your opinions outweigh your facts – when all your prospects here are your own praises for your products, they would naturally be suspicious. To make it easier for them to believe your claims, make it a point to use testimonials from your clients, especially the big ones. Also, substantiate your claims by giving facts. You focused too much on closing – yes, you need to get that deal, but if your focus is just that, without regard to what your prospects need, then you achieve nothing at all. Correct these bad habits and your sales lead generation campaign will be more credible. It can be a real pain to be a victim of cyberspace hacking, but it is a reality you need to face in today’s modern business environment. All those years of hard work in lead generation, all those gigabytes of customer and market data, and the lists of sales leads you have collected, all these can disappear at just a click of a mouse button, and you cannot do anything at all once that happens. That is why you need to prevent hacking in the first place. You need to improve your security. Only then can you fairly say that you have taken steps to deal to protect your B2B leads. Load on tech – as a business owner, you need to invest in the right equipment. You need to have the latest technology, like firewalls and antivirus, installed on your computer and communication equipment (like the phone lines used by your telemarketing teams). This makes securing them easier. Lock everything down – clear cache, create passwords, use secure back up, etc. are just some of the things you need to observe in order to secure your systems. In case an actual hacking takes place, the damage can be put on the minimum. Spread the word – not everyone gets the same information as you do. If, say, your appointment setting representative is using VoIP to make calls, recommend them a powerful antivirus or firewall to prevent illegal access to their VoIP account. 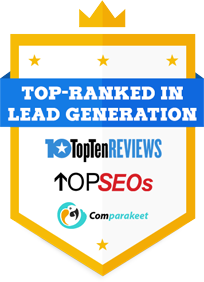 There are other things that you need to do to protect your lead generation campaign, but these three will top that list. Follow them well. Looking for sales leads can be like looking for a needle in a haystack; it’s a huge marketing world out there and leads are everywhere, you just have to look on the right places. The internet is a mine of sales lead and what makes it even easier to look for leads is the advent of the social media. Marketers found a new venue to offer products, determine what the customers need and provide them not just with what they want but greater options too. It became easy to predict business trends. With social media becoming more personal, the calculation gets more accurate. One of these effective social media sources is Twitter. Twitter has been influencing the world since its birth on 2008. With 140 characters customers can make their voices be heard, especially regarding products and services. Companies set up their brands on Twitter thereby keeping a closer watch to their audience. The reply function also gives them the opportunity to interact directly to the customer and directly get feedback as well. If you are looking for sales lead, Twitter is definitely the place to be. However, looking at the right will be a waste if you are not looking correctly. There are tools that will help you in analyzing sales leads on Twitter. The search tool on Twitter is you main ally. However translating the search results into relevant data can be tricky. There free applications like Tweetdeck and Hoostuite that can help you keep track of tweets from possibly sales leads. Hootsuite even comes with an analysis function. In order for you to accurately determine potential sales leads, you have to determine the right keywords. But take note that when you find a tweet related to your keyword you need to double check if it’s relevant. Hashtags also play a huge role in looking for sales leads, but remember hashtags should be specific. Twitter is an almost infinite source of sales leads, you just have to dig deeper into the mammoth pit of information and use the effective tools. Many companies have been using this social media site as a marketing tool and most of them have easily become very successful brands. The Internet has totally changed the way we do business nowadays. Now, we can reach out the most number of business prospects, increasing our chances of generating B2B lead, in a manner that is not available to us from five or ten years ago. This is a great opportunity for your B2B lead generation campaigns, helping us convey more information to those interested. Of course, along with the ready availability details, there is the risk of what we call the ‘tyranny of choice’. What is that and how will you deal with it? The tyranny of choice, as psychologists call it, is a condition where customers have so many alternatives to choose from that they practically cannot make a choice any more. Give the numerous products and services offered by a lot of marketers during their appointment setting campaigns, it is only natural that business prospects will have a hard time choosing which to buy or sign up for. This impairment can have a serious impact on your generation of sales leads. Of course, this can also have a positive outcome for your campaign as well. It all depends on your ability to best represent your brand. People, especially the busy ones, tend to have too little time to analyze the products or services that their business will need. For them, it would be more cost effective if a seller can more as an information source, and help them make the right decision. At this point, it is also important to remember that sales leads are not everything. You need to establish a relationship with them. Solving problems is only natural when we are conducting lead generation campaigns. After all, if we do not solve problems, how can we turn prospects into qualified B2B leads? That is why we need to offer the right business solutions to your prospects. There are a lot of things you would want to say to your prospects, offer answer to their problems. But have you ever thought of those rare moment where you do not need to solve problems? Sometimes, not solving a business issue can get you the sales leads you wanted. The idea behind it is actually sound. To begin with, you must first understand that some of your prospects may be aware of their problems already. They might just want to have a sounding board, or probably a second opinion on whether this is their real concern. Also, it is possible that they know the solution already. Your telemarketing team may not need to talk much. Your team will just have to listen, and the answer will present itself on its own. And would it not be a much better appointment setting tactic. At least you will get the full cooperation of your business leads. All you need to do is to be sharp at the details. While it is possible that you have a lead generation team ready for the task, it may not be economically feasible to have a large one for a seasonal campaign. Perhaps outsourcing the work will do you good. There are a lot of telemarketing, advertising, and other agencies that can do the job for you. Yes, it may be true that generating sales leads in Australia can be hard, but that does not mean it is impossible. Lead generation work can be made more successful, as long as you know how to do it. The secret lies in the means of achieving your business goals. Actually, there is one business tip that you should never take lightly. Do this right, and everything else in your campaign will easily fall into its proper places. The secret to generating B2B leads? Ask the right questions. Really, asking prospects the right questions in the course of your appointment setting work is essential to the success of your campaign. Think about, before you can craft an effective business solution, before you can create the right sales pitch to business prospects, you need to know first what the problem is. Not doing so is not just bad marketing, it is also the hallmark of carelessness. Another thing, if marketing experts say that you should listen well to what your prospects say, how can you do so if you do not ask them the right questions? Also, the choice of marketing partner plays a crucial role in the success of your campaign. It may be so that you lack the necessary skills (or perhaps the budget) needed to arrange for an in-house team of your own. To solve that, you will need to outsource it to a competent telesales firm. Why telesellers? You need a communication medium that is effective in sending your message to prospects. It is an important business investment.